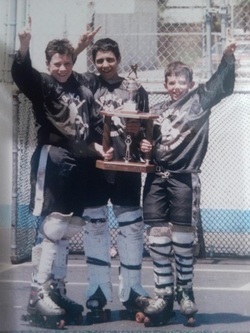 BELLMORE MERRICK ROLLER HOCKEY, THE MOST EXCITING GAME IN AROUND!! BMRH has been a self-supported sports organization in Bellmore Village for over 25 years. BMRH is responsible for paying its own bills, which include players' insurance and insurance for the rink and grounds, uniforms, referee costs and the daily expense of running the rink and administration of the league. BMRH can not function in the community without your support. BMRH would greatly appreciate your donation. To read more about how you can help, click the drop down tab Donations/Sponsorship or click the Donate button below.